Glasgow’s Pavilion Theatre is to reopen six months after it was forced to close following a fire – with management estimating the total cost of closure and cleaning to be more than a £1 million. 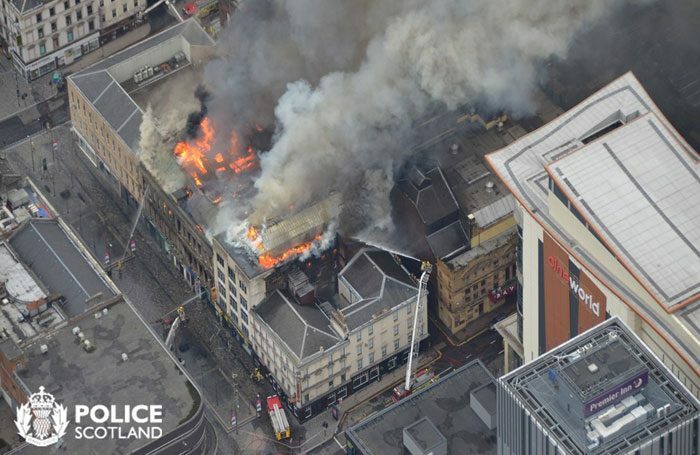 The 114-year-old venue was cordoned off and shut by the council after a fire devastated a nearby nightclub on March 22. It is to reopen on September 5 with Celtic – The Musical, which was previously cancelled due to the closure. Theatre manager Iain Gordon told The Stage there had been “a lot of internal damage” to the theatre from smoke and debris, with the theatre having undergone a deep clean. He said staff had also taken the opportunity to redecorate and install a new fire alarm system. Gordon added he estimated the total bill from the loss of income due to the closure and the cleaning costs to be more than a million, with insurance covering part of the cost and the theatre’s funds covering the remainder.